This hypothetical example is for illustrative purposes only and is not intended to project the performance of any specific investment or investment strategy and is not a solicitation or recommendation of any investment strategy. It is only designed to show the mathematical differences between substantial declines and less substantial fluctuations. It does not represent the trading of any actual account. Investors are often asked to focus on annualized percentage returns, but this can divert them from the ultimate long-term goal: cumulative dollar returns. By not taking into account market downturns that can sometimes be masked by percentage return performance, it can be difficult to see the long-term effect market declines have on a portfolio’s ability to experience compounded growth. 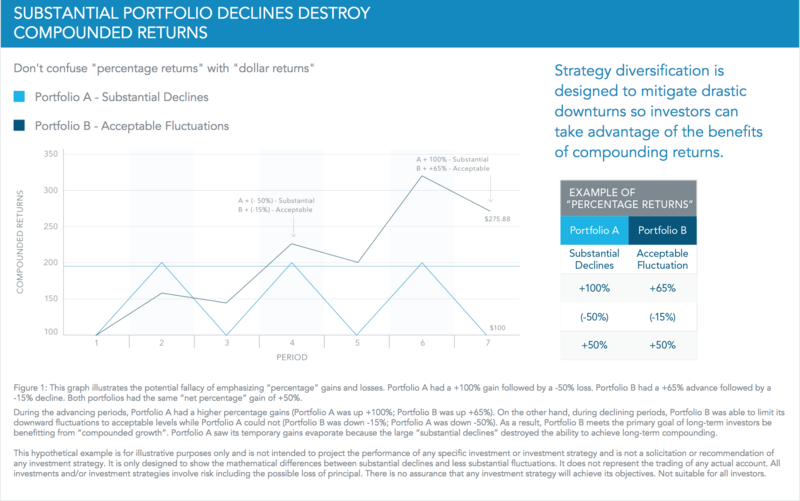 This hypothetical example shows how Portfolio A saw its gains evaporate because substantial declines destroyed the ability to achieve compounding. Portfolio A had a +100% gain followed by a -50% loss, while Portfolio B had only a +65% gain, but followed by only a -15% loss. Both portfolios had the same net percentage gain of +50%. However, over time, while Portfolio A experienced higher percentage gains, Portfolio B was able to limit its downward fluctuations during declining periods. As a result, Portfolio B benefits from compounded growth while Portfolio A makes no advancement after several years invested. 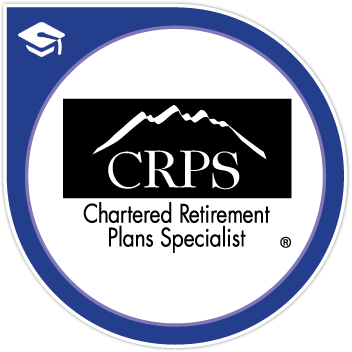 Investors approaching retirement in 2008 can attest to the financial impact of this kind of risk management.